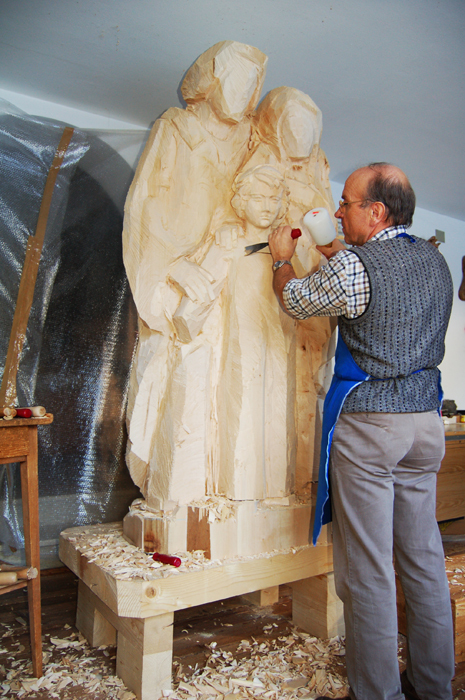 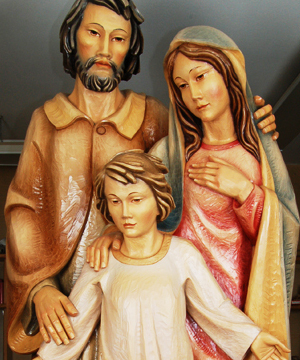 Sculpture of the Holy Family realized for the chapel of a catholic school in Japan. 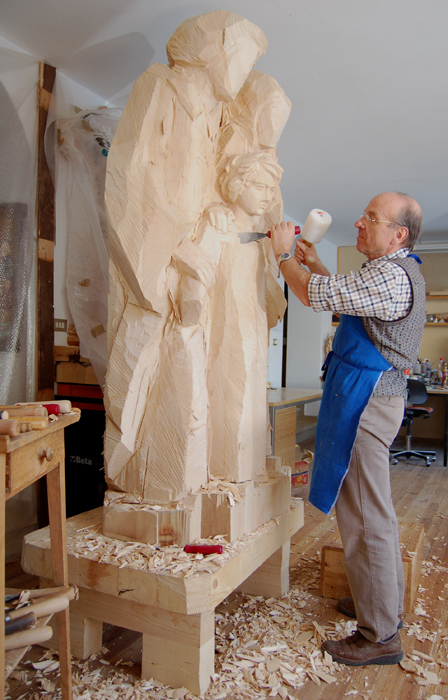 Before starting the carving of the sculpture, Demi Art masters showed the customer various drawings on the basis of which the same chose the work to be made. The work has been realized by using line tree wood.